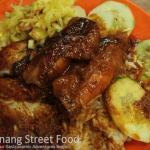 pharmacy online canadian pharmacy Kway Teow Thing | Penang Street Food | Penang Delicacies "penang food", "penang hawker food", "penang street food", "penang delicacies", "penang gourmet", "food in penang"
Kway Teow Thing is Hokkien for broad flat rice noodle in soup. 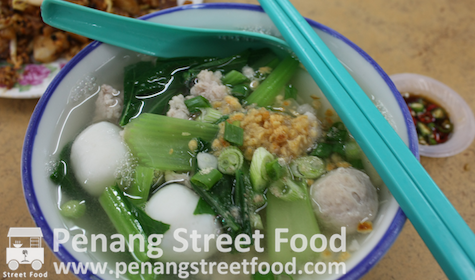 This hawker fare is a non-spicy soup noodle dish which is most suitable for a mild introduction to the delectable street foods in Penang. Smooth, luscious and fresh Kway Teow is blanched in a boiling cauldron and is served with fish balls, fish cake and steamed chicken slices. The sweet, clear broth is made from flavourful pork or chicken stock. It is served with a garnishing of spring onions and a side of cut red chillis or chili padi (bird’s eye chilli) in soy sauce for those who want to spice up the dish. The secret to tasty Kway Teow Thing is the addition of minced garlic which is deep fried until golden brown in lard which is added to the soup noodles before it is served. Additionally, good Kway Teow Thing will have fish balls that are freshly made and are almost crunchy to the bite. 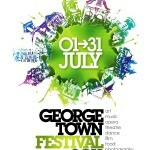 There are stalls that serve Kway Teow Thing with minced pork and coagulated pig’s blood. 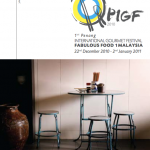 The more unique twists on Kway Teow Thing include duck meat and beef. All of them have one thing in common, wholesome and flavourful broth. 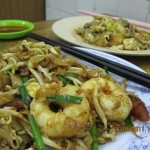 Kway Teow Thing is normally served as breakfast or lunch being mild and less oily than other types of hawker fare. Nevertheless, as it is a perennial favourite with children, don’t be surprised to find Kway Teow Thing served around the clock. Expect to pay around RM2.50 to RM3.00 for a small bowl of Kway Teow Thing.